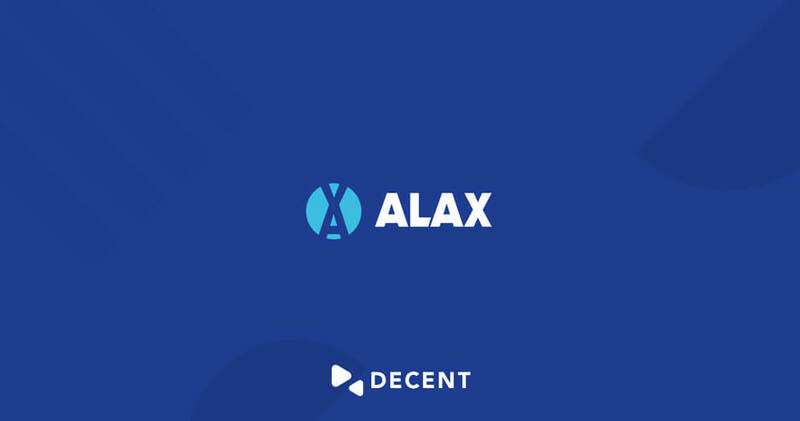 Geneva, Switzerland – March 20, 2019– DECENT, the international company behind DCore blockchain technology, declares an official conclusion to the ALAX Token Swap initiative. The ALAX token (ALX), formerly hosted as an ERC20 token on the Ethereum blockchain, has successfully migrated to DECENT’s DCore blockchain. ALX token holders can now store their tokens on all of DECENT’s wallet services as well as ALAX’s own ALAX Pay application. ALAX is a Hong Kong and Geneva-based mobile games distribution platform which, compared to its competition, plans to provide content distribution and game purchases with higher speed and efficiencies. ALAX is set to supply app and game developers with access to millions of new consumers in emerging markets. A unique attribute of ALAX’s marketplace lies within its region-free availability, including a concentrated population of 438 million unbanked individuals in the Southeast Asia region alone. Earlier this year, ALAX successfully performed a full switch to DCore from the Ethereum blockchain. ALAX token holders were prompted to perform a simple migration process in which they moved their tokens from the bygone platform to DCore. As of today, ALAX has released its conclusive figures pertaining to the swap process. The total number of accounts which performed the swap was 487 with more than 43 million ALX tokens successfully swapped. Users were able to migrate the tokens to their newly created DECENT Wallet accounts. Unique accounts that received ALX tokens from the swap were credited 0.005 DCT (DECENT’s cryptographic asset) to cover the transfer fee, enabling users to send their tokens to the recently released ALAX Pay application – dedicated to storing ALX tokens with the ability to top up balances with cash. With ALAX being DECENT’s first successful project to be switched to DCore from a different blockchain, DECENT appeals to developers and blockchain companies for an easy switch to DCore from ERC20-based blockchains, accentuating its platform’s transaction speed (2,000+ TPS) and advanced security features. The company also offers to cover all fees associated with the switch, meaning that all amounts of DCT required for swap-related transactions will be taken care of. DECENT encourages any blockchain company interested in switching to DCore to contact the company.